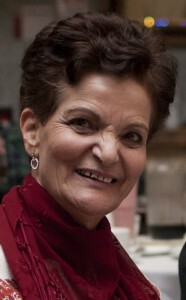 A Palestinian woman, Rasmieh Odeh, was arrested at her home on Oct. 22, by agents of the Department of Homeland Security. The arrest today appears to be related to the case of the 23 anti-war activistssubpoenaed to a grand jury in 2010. Well-known labor, community and international solidarity activists around the Midwest had their homes raided by the FBI when the U.S. attorney alleged that they had provided material support to foreign terrorist organizations in Palestine and Colombia. Call Barbara McQuade, U.S. Attorney for the Eastern District of Michigan in Detroit, at 313.226.9501 or 313.226.9100,on Friday, October 25th, from 8 AM to 4 PM CST, to demand that she Drop the Charges Now!